It's out of your hands for now it seems. Look forward to it when WG fixes their referencing. i’ve sent you a PM. Thanks for your attention. Icons edited for 1.1.0 patch. Added the FW line and new Premiums. Thank you Dr.S for figuring this stuff out and for being so fast on posting the 1.1.0 path file. The new Hawk III is not showing up for me with your current 1.1.0 mod download. Would 1.1.1 of broken this for some reason? I tried a fresh mod install (All other mods are from your mods pack anyways), and it still didn't show the icon for the new Chinese Hawk III. Edited by TehMantis, 25 December 2013 - 10:55 AM. All composite phenomena are impermanent. Make sure you copy the current localization folder from the res folder and paste it into your res_mods folder (yes, you want to merge these folders- when it asks). That should solve it. Edited by TehMantis, 25 December 2013 - 12:39 PM. 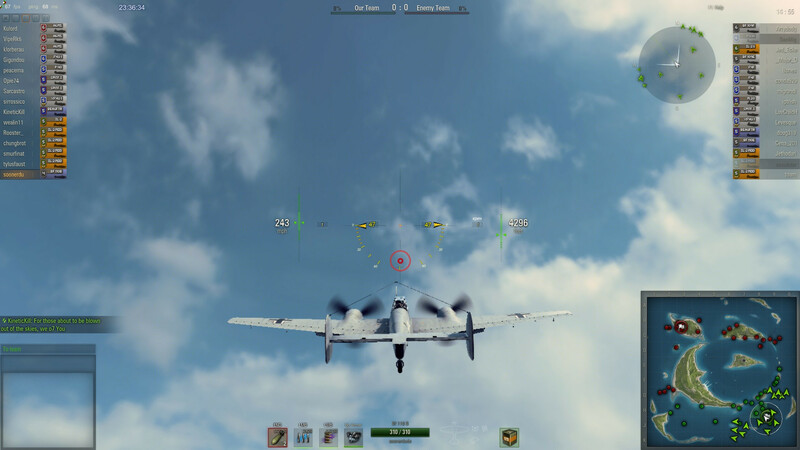 I tried patching the new copy of World of Warplanes, and it resulted in the same outcome. Every plane is fine and patched except for the new Chinese Hawk III. Would this have something to do with my C:\Users folder? I have not had to edit that before for any mods on this game. Does anyone else have this problem? Perhaps it is just me. All Icons till now were .PNG-Files. But the new Hawk3-Icon is a .TGA-File. Open the "curtissHawk3.png" in a grapic programm and save it as "curtissHawk3.tga" in the same folder, then it works. Tired using Paint.Net to switch the file over to a .tga file for the curtissHawk3.png file, but now it won't even show up in game lol. Just shows a blank area where the plane icon should be. Yes, I just realized this with the Hawk III. Just uploaded the xml edit for the Hawk III, so now this is fixed in game. This is also the same error for several planes that was referencing the wrong png file. Great mod.. just dont like the font and wish the background blues where not as bright. I want to put an sig image here but it won't let me. Amazing the tech tree from 4 months ago resembles current tree (insider information?) or did you update pick? I updated this pic, to show what WG has in the Encyclopedia, but there is some icons that I did make back when certain planes were still in game back in Closed Beta, but are now removed for the time being. Cool, can do the same but in Cyrillic? Question about your mods. Since I'm new to seeing your work posted in the Forums, how safe is it to use? Is it snoop safe? There's nothing wrong with the files he has as someone would have stated as such long ago by now had there been any.